The founding document of economic anthropology! Bronislaw Malinowski, one of the all-time great anthropologists of the world, had a talent for bringing together in single comprehension the warm reality of human living with the cool abstractions of science. 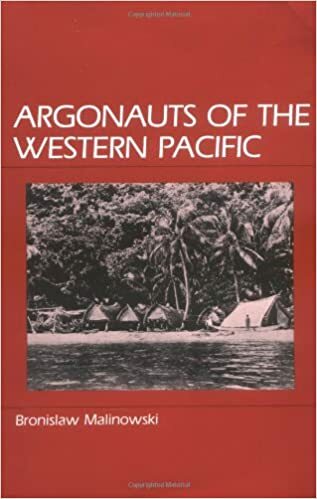 His pages have become an almost indispensable link between the knowing of exotic and remote people with theoretical knowledge about humankind. This volume--originally published in 1922--can be considered the founding document of economic anthropology, and remains the best one to read. It emphasizes the great significance of primitive economics by singling out the notable exchange system of the Trobriand Islands for special consideration. Although the main theme is economic, constant reference is made in this milestone of anthropological research and interpretation to social organization, life and meaning, the power of magic, and to mythology and folklore. Title of related interest also available from Waveland Press: Malinowski, Magic, Science and Religion and Other Essays (ISBN 9780881336573.